Ep. 115 “The Independence of RL!” Ft.VDKAIce 3 Years of Rocket League, 10 Years of SARPBC and Anniversary Event! How’s it going guys! Special guest VdkaIce on this week, old patreon supporter! This week we talk about the 3rd Rocket League anniversary, their party they are hosting, the free weekend for PC and Xbox for it and the amazing Event including Stadium! A long foreseen map. Ep. 114 “We have Returned!” Rocket Pass Information, XP Update Details, New Update, RLCS Recap and Jurassic Update! We have finally returned! Our first episode back since the special episode. This week we get to look at details on the Rocket Pass and XP Update. We also talk about our experience with the Jurassic World DLC. Ninja also gets to give his opinions on RLCS World Championship. The RLCS Season V Experience FT. Interviews with G2, NRG, Dignitas and more! This is the story of NoxPhoenix's trip to season 5 RLCS. Interviews featuring G2, NRG, Dignitas, Chiefs, Tainted Minds, with Exclusives featuring Jknaps, Gimmick, and Snaski this is sure to be a good listen!!!! Ep. 113 “Which accent suits best?” Ft. Dondochacka! Patch Notes + New Season, Jurassic World DLC and a lot of Reddit Discussion? It’s sad but we are saying goodbye to our host DarthGoje, we wish him the best of luck. Taking his spot for the week we welcome Dondochacka back on the show! We get to talk about the Patch Notes including the new map, new crate and new season! We also got an announcement of the next DLC being Jurassic World and we go into detail about the controversial reddit conversations going on. Ep. 112 “Salty Pool 2” Salty Shores Update, Unofficial Patch Notes, Northern Arena teams Finalized! Holy cow, what a great week we have for you guys. To start off, we got an amazing announcement of the Salty Shores Update with a new map, crates and event 2 weeks after! Along with that we found out the 8 teams going to Northern Arena LAN in July! Ep.111 “Use your tail” Ft. Liefx, Universal Open, Summer Roadmap, RLCS Tickets and Season 7 Rewards! We have a special episode for you guys this week. Not only is it longer, but we have liefx on the show talking to us about what he’s been up to. We also get an announcement for Universal Open, the Summer Roadmap with a lot of information. Tickets for RLCS are on sale and Season 7 is ending and we now know the rewards. Season 7 Rewards and Season 8 Start! Ep. 110 “Doible the Derby!” New Logo, Double Drop Rate Weekend, Northern Arena 2 and cool jacob Video! We got another exciting week for you guys. Psyonix decided to switch the logo out on us and added a spoiler! We have a double drop rate weekend coming up and Jacob showed us a neat trick! And don’t forget, Northern Arena is returning in July! Ep. 109 “Spoiling LANDON” Ft. SunlessKhan, LAN announcement, and more! This week we get to talk to SunlessKhan and picked his brain, LAN is announced and all LAN teams are finally confirmed. And we went into Promotion Relegation predictions. We have a great week for you! Can you guess who won the bet between Nox and Goje? We dove into the Double Drop Rate weekend, the announcement of a new partner for Psyonix and an update on server performance. But is there more? LAN??? Ep. 107 “Rewarding you with Mars” Server Issues backlash, Rewards for Switch, RLCS news and more! Fantastic week, we get to talk about the Switch Rewards for RLCS and the backlash on reddit about servers. We also had issues on the weekend for RLCS and even RLRS. Tune in for more information about it all! Ep. 106 “No, your wheels are big!” Tournaments Update Patch, WWE Items, RLCS Week 5 Predictions and a packed weekly whiffs! Boy do we have an exciting week for you all. We got to check out the new WWE items introduced, we tested the new patch that fixed a few bugs, but kept a lot of them? We did a recap of the RLCS and also made predictions for next week! And finally we had a jam packed weekly whiffs! Ep.105 “Who Stole the Drum set” April Fools, Tournaments Update, RLCS Recap and Pax East! Why are our hats so big? Psyonix fooled us! We got to check out the Tournaments Update and all it’s new features and the new crate content. 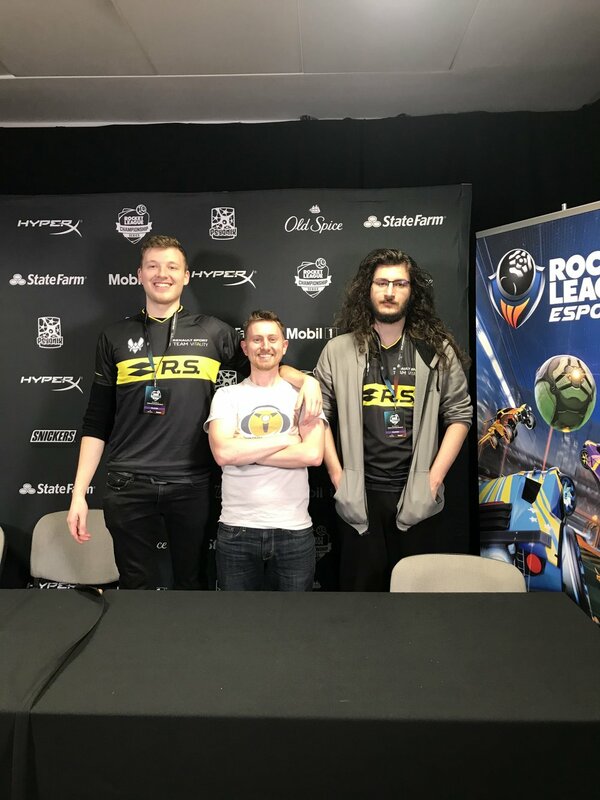 We dove thru the RLCS and recapped what happened. And PAX East tournaments again last second! Ep. 104 “Easter Eggs All Over” Connection symbols explained, Esports Arena rematch and more! Another week, another man hunt. Get your easter basket in hand and let’s go get some Rocket League car balls. We got to check out the new connection info explained properly, Esports Arena rematch and some rivalry on who’s better? Ep. 103 “March On to Madness” Tournaments Announced, Spring Fever Update, Community Orgs Problem? 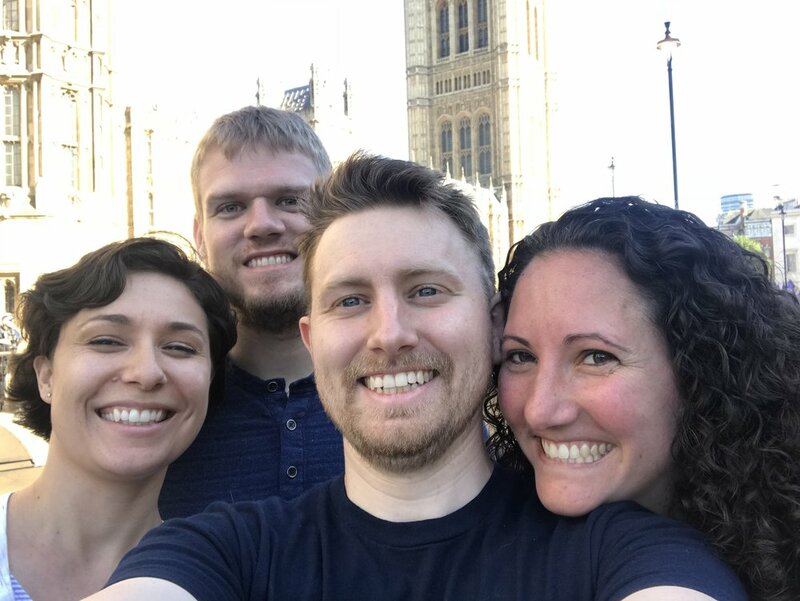 We are back again for another week of news, goofs and to tell you what’s going on in our lives. This week Spring Fever Update released, we have an announcement for Tournaments and when it releases and we talked about some problems facing Community Organizations and their tournaments. Ep. 102 “We Reward You!” New RLCS Rewards, RL at GDC, RLRS Qualifiers and more! Have you watched all of RLCS to get your new rewards? Rocket League are going to be making presentations at GDC, we got the results of the RLRS Play-Ins. We also have the LFM Fantasy back again!